"1. Use fine-tipped tweezers to grasp the tick as close to the skin’s surface as possible. 6. Check the bite area for several weeks after removal. If you develop a rash there (or have a fever at any point in that time frame), see a doctor about getting tested for Lyme and other tick-borne diseases. " "There are several tick-removal devices on the market, but the CDC says that a plain set of fine-tipped (pointy) tweezers or a thin, curved forceps (available at a regular pharmacy) is really all you need." I've used one of those tools, a tick twister, that worked okay. One time it didn't work, I couldn't get my fine tweezers to work, I scraped it off with finger nail. Then the tick twister removed the legs that were still there. Generally sound advice. I agree that a really good set of tweezers in skilled hands can be better than the worst tick extractors, but I'd rather have a good tick extractor (the bad ones are shamefully bad, and it's disgraceful that they're on the market). I've been told one shouldn't dispose of a tick, but keep it in case your doc wants to see it. That's probably ridiculous, but thanks to that advice I have a nice collection. Incidentally, it's interesting how long an extracted tick can survive. You might think it's dead, but blow on it and it will squirm around for a minute before going dormant again. 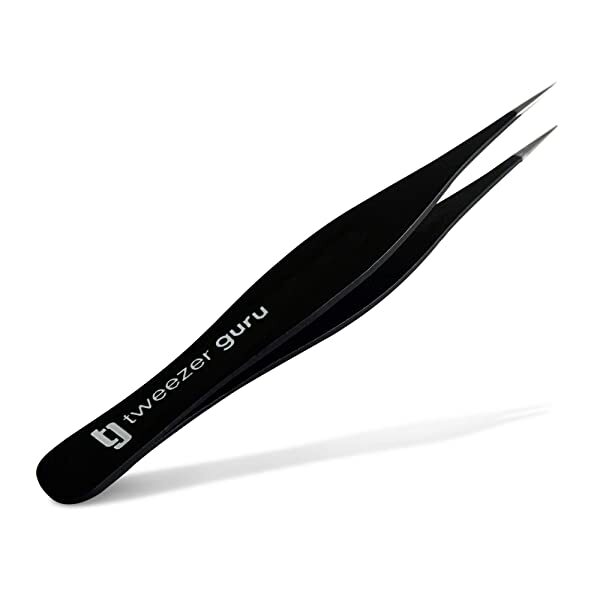 I use tweezers that look like this. what if the tick is imbedded? Can you get those tweezers right at the base of where the tick has attached? Yes, they worked for an embedded tick, and weigh 20 grams. I find that Vaseline works great for tick removal. If you bury the tick with any kind of cream, it can't breathe and will back itself out, and then you can extract it easily. Although there is still concern it will spit its toxic fluids as it suffocates, it is unlikely you will detach the body from the head of the tick by pulling it out while it's sucking blood. Making it regurgitate is worse than leaving a few mouth parts in place. No vaseline, no matches, no peppermint oil, no nothin' but tweezers or a tick spoon. I have a Tick Twister that I (thankfully) haven't had to test yet. The CDC says the best thing is a nice pair of curved forceps - grab the tick by the mouth at the skin level and pull it straight out. Making the tick regurgitate toxic fluids through burning, suffocating, etc etc not only increases the risk of infection but also makes the bite more inflamed and take longer to heal.